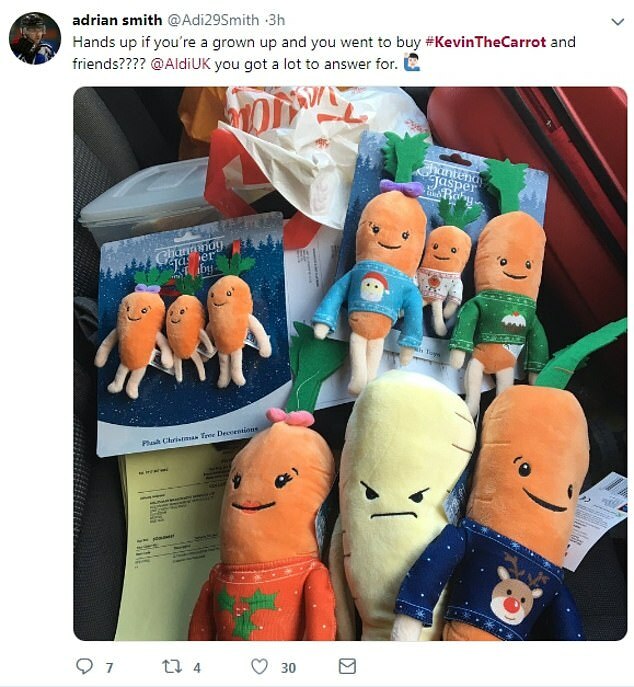 Children don’t like carrots? Well, they do if his name’s Kevin and he comes in a whole array of sizes, it seems. 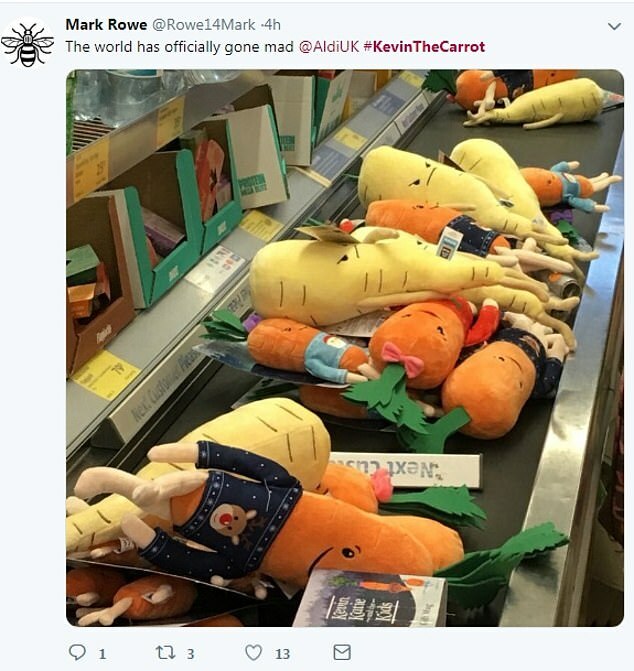 Budget supermarket chain Aldi has left thousands of fans of their Christmas hero, a stuffed toy carrot named Kevin, disappointed after merchandise sold out within hours of being put on sale. 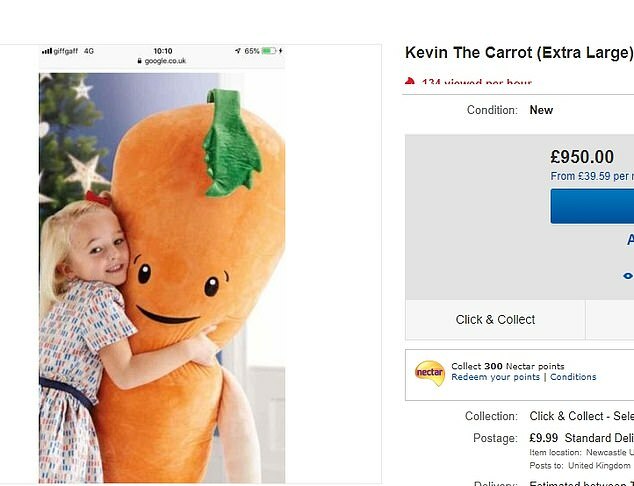 Thousands of shoppers waited for the online release of the Kevin range of products, including festive decorations and over-sized stuffed toys, only to find their payments couldn’t be processed due to high demand. 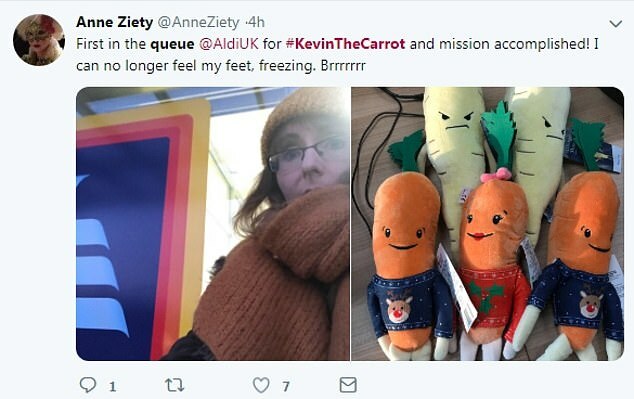 Some shoppers were so dedicated they decided to turn up at Aldi stores ahead of opening time, with queues forming around the entrance as shoppers became ever more determined to try and take a Kevin home with their weekly groceries. 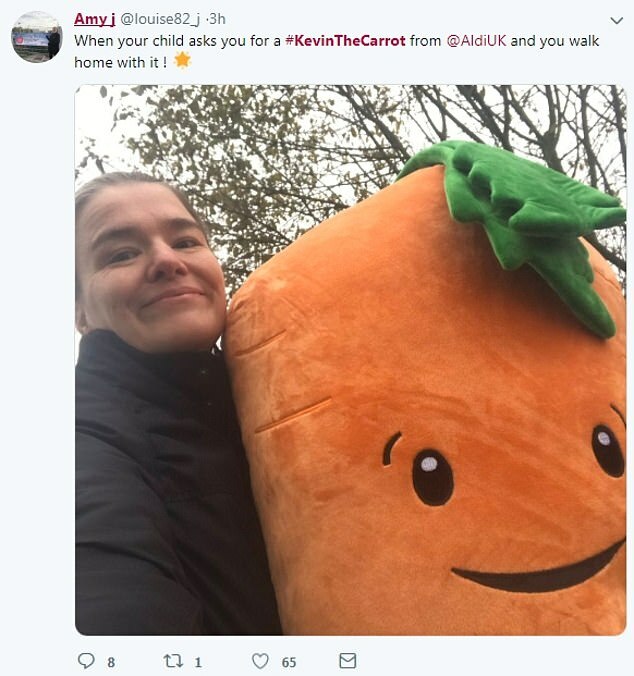 Within hours of the merchandise selling out, it began appearing on ebay, with the most inflated price appearing to be a five-foot-tall Kevin being paraded for the princely sum of £950. Twitter had a field day with the sight of people lining up, with some suggesting ‘the world had gone mad’. 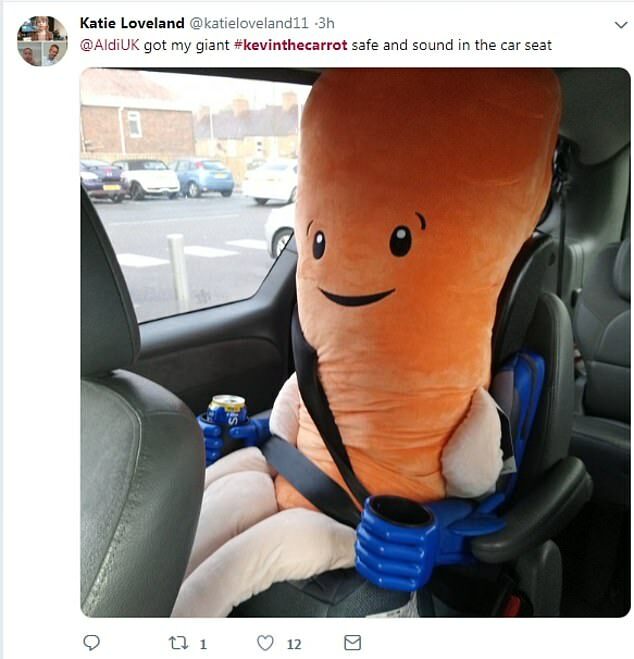 This afternoon, #Kevinthecarrot was trending. Elsewhere, plenty of satisfied customers shared their joy at actually getting their hands on the toy. 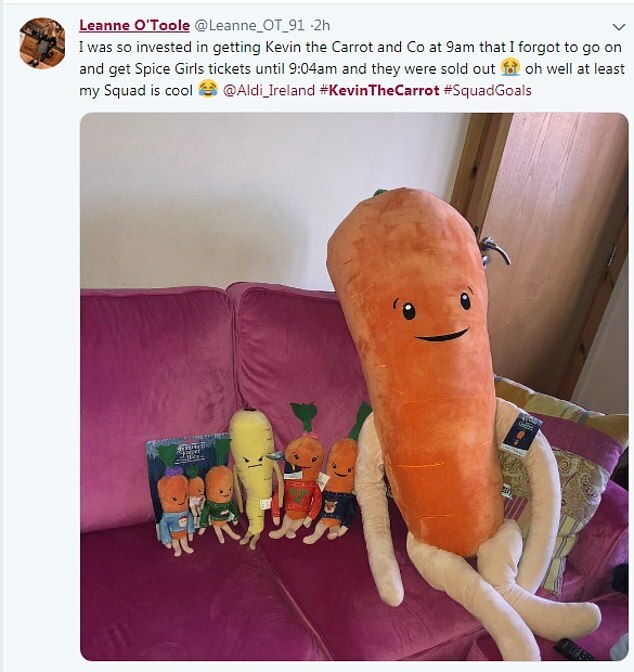 @Alihalfpint was equally dispirited: ‘Thought this year We had a chance of purchasing Kevin, Katie and Family but no sold out already, should be used to it by now but still have an upset youngster @AldiUK #KevinTheCarrot’. Mailonline has contacted Aldi for comment. 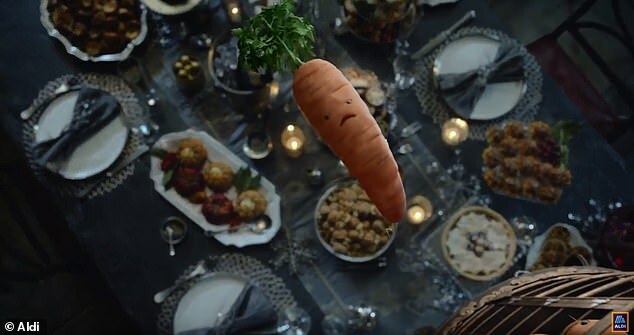 Earlier this month, Aldi unveiled its Christmas advert for 2018, stirring up interest in the character. 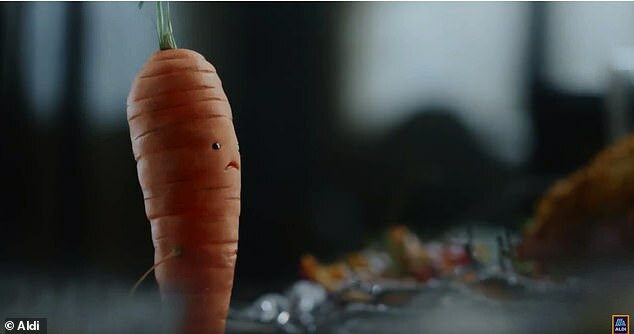 The budget supermarket won over viewers with a heart-warming fairytale style story seeing the return of the much-loved carrot. 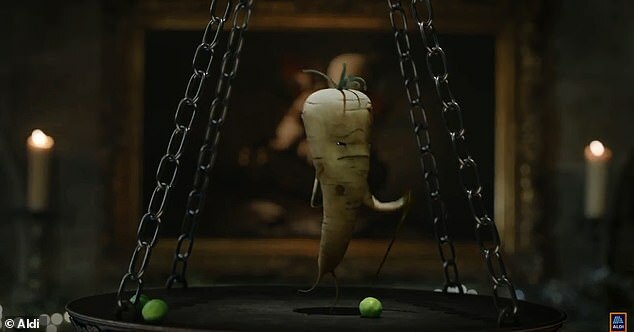 In his third appearance Kevin is forced to battle evil Pascal the Parsnip to save his carrot family from becoming part of the Christmas roast. Kevin’s comeback comes after viewers were left in suspense when a launch advert, which was compared to the Coca Cola advert, saw him teetering on the edge of a cliff in a literal cliff-hanger. 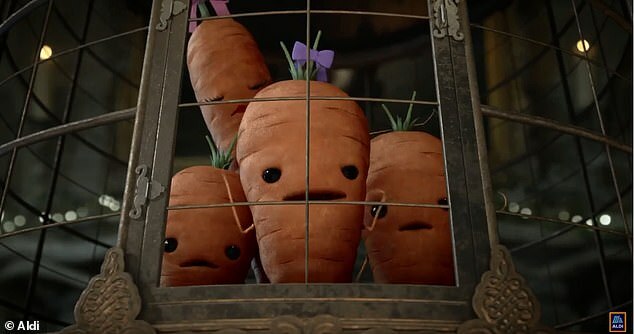 However the official advert sees him making a comeback, battling Pascal, who is on a mission to cause misery to Kevin’s carrot wife Katie and their three children: Chantenay, Baby Carrot and Jasper. 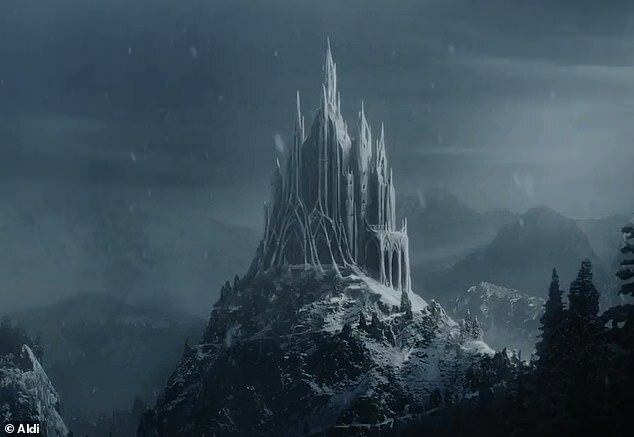 With his fatherly instincts at the root of Kevin’s bravery, he is seen breaking into the snow-covered castle in a deserted wood at the top of a cliff. ‘Kevin! 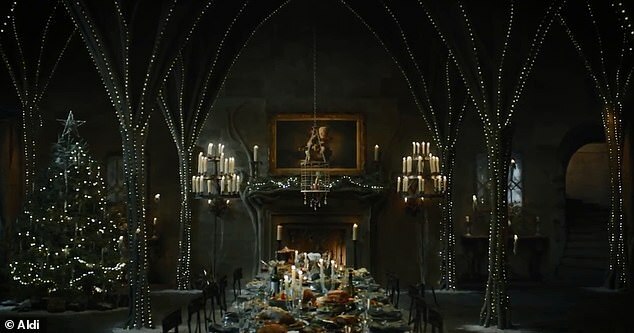 Just in time for diner’, Pascal exclaims, swinging from the top of the cage trapping his family, and above a banquet showing a delicious Christmas feast, adding: ‘In fact, you are dinner’. Keven bravely navigates the spread in front of him, as vicious Pascal pelts him with Brussels sprouts and the like, while his caged family watch on in horror. 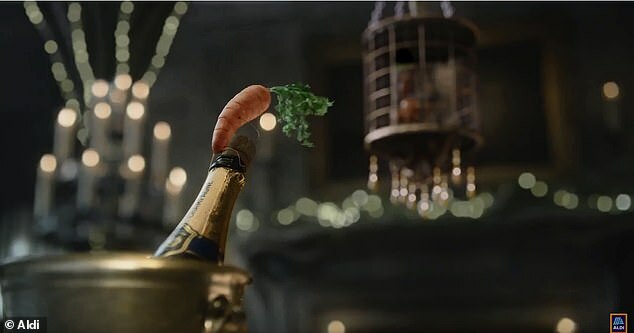 Dodging all of the obstacles, Kevin risks becoming grated carrot as he propels himself at his family’s swinging cage from a popping champagne bottle. 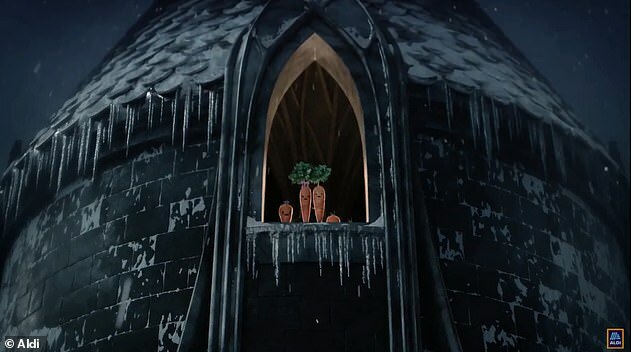 But his bravery is not in vain, as he lands on the cage, knocking evil Pascal off and freeing his carrot family in the process. 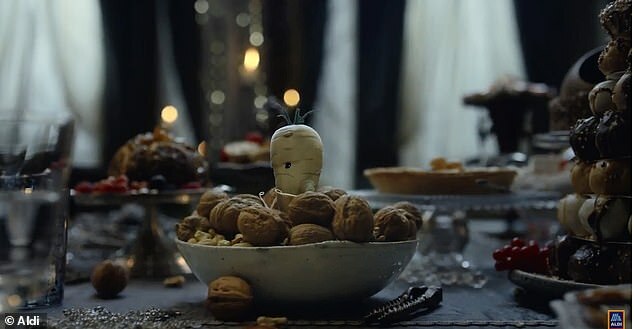 Angry Pascal lands in a bowl of nuts, with Kevin cheering: ‘Right in the nuts!’. Escaping his wrath, the the terrified five-some are seen rushing to a window at the castle, before spotting a passing Father Christmas on a sleigh. ‘A fairytale ending for the carrots so brave, with a sleigh ride from Santa, Christmas was saved!’, the happy tale concludes, as the carrot family ride off into the distance. 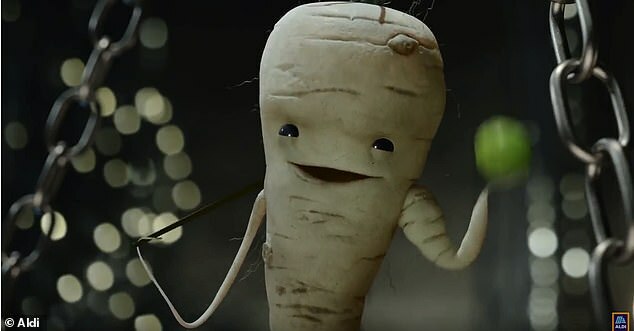 The advert ends with Kevin and the family safely in their home as they read the fairytale, with Kevin reassuring them that the parsnip had ‘moved further afield’.